Bryant McIntosh celebrates Northwestern’s NCAA Tournament win over Vanderbilt. The senior was one of three Big Ten point guards named to the Cousy Award watch list. Senior Bryant McIntosh was one of 20 point guards selected to the Bob Cousy Award watch list Monday. At the season’s end, the award will be given to the nation’s best player at the position. McIntosh enters his final year in Evanston with 551 career assists, the program record. The Greensburg, Indiana, native led Northwestern with 14.8 points per game last season to go along with his Big Ten-leading 5.2 assists. As one of the Wildcats’ captains last season, McIntosh led NU to its first NCAA Tournament appearance in school history. He was also a consensus All-Big Ten second team selection after previously earning an honorable mention nod his sophomore year. 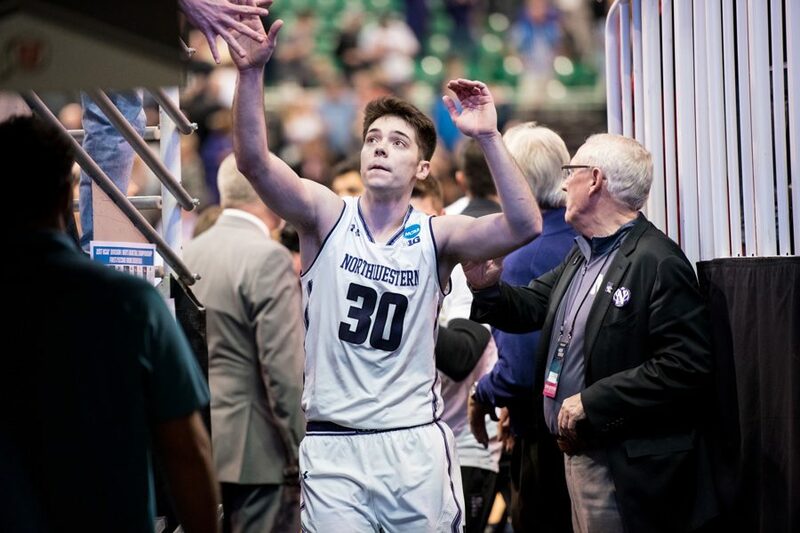 This year, expectations are high for both McIntosh and the Cats, who return four starters and numerous bench contributors as they eye a return to the tournament. The members of the watch list were selected by a national committee of college basketball personnel. The list will be trimmed to 10 in mid-February and five finalists will be named in March. A committee that includes award namesake Bob Cousy, the former Holy Cross and Boston Celtics point guard, will choose a winner from the pool of five. McIntosh’s senior campaign begins when NU opens play on Nov. 10 against Loyola Maryland.